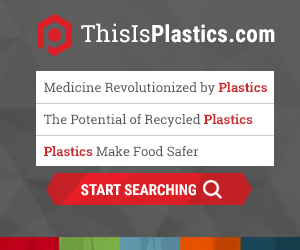 WASHINGTON, D.C. - The Plastics Industry Trade Association today announced Club Coffee is the winner of its 2016 Innovation in Bioplastics Award. The honor goes to companies applying bioplastics to innovative, purposeful product design. Club Coffee's PurPod100™ offers consumers a single-serve coffee solution that breaks down fully in typical municipal and industrial composting facilities in as little as five weeks. PurPod100™ is the first product to earn certification by the Biodegradable Products Institute and its industrial composting abilities were confirmed by tests at composting sites in the U.S. and Canada. Research from the US Composting Council supports PurPod100’s other environmental benefits such as reduced greenhouse gas emissions and the potential to divert tons of waste from landfills to industrial composting. Representing nearly one million workers in the $427 billion U.S. plastics industry, SPI: The Plastics Industry Trade Association promotes plastics manufacturing, works to make our members and the industry more competitive globally, and advances recycling and the stewardship of resources. Plastics innovations continuously improve products ranging from healthcare and medical devices to building and construction, automotive and packaging. From resin suppliers and equipment makers to processors, brand owners and the recycling community, we proudly represent all segments of the U.S. plastics industry. Founded in 1937, SPI: The Plastics Industry Trade Association promotes growth in the $427 billion U.S. plastics industry. Representing nearly one million American workers in the third largest U.S. manufacturing industry, SPI delivers legislative and regulatory advocacy, market research, industry promotion and the fostering of business relationships and zero waste strategies. SPI also owns and produces the international NPE trade show. All profits from NPE are reinvested into SPI’s industry services. Find SPI online at www.plasticsindustry.org. "From resin suppliers and equipment makers to processors and brand owners, SPI is proud to represent all facets of the U.S. plastics industry," said William R. Carteaux, president and CEO, SPI. "Our most recent economic reports show that the plastics industry as a whole is resilient, and has come through the recession significantly better than other U.S. manufacturing sectors."